“I can’t wait to schedule my annual summer air conditioning maintenance service!” said no customer, ever. This just isn’t one of life’s more exciting moments, and we get that. Yet we love what we do because we know that our customers reap long-term benefits not immediately apparent on the day of your annual preventative maintenance appointment. Not only do you receive peace of mind knowing your A/C and furnace units are operating safely and do not represent a home or workplace fire risk, but also you will get more energy efficiency and useful life out of those expensive appliances. Best of all, there are valuable dollars and cents to be saved when you make the up-front annual investment in your once-per-year preventative maintenance service checkup. Learn about six of the most valuable benefits in this post! When you enroll in a regular annual maintenance service plan with us, we instantly start delivering savings in several forms. First, our highly trained, prompt, courteous service technicians are A/C and furnace maintenance experts—this is what they do, all day, every day. They are trained and knowledgeable about all makes and models of heating and cooling equipment. We have been in business for nearly a century and we hire only the best, which means your maintenance will be performed by the best in the business. Also, you will automatically qualify for discounts on future replacements for both parts and entire units when that time comes. A clean, pristine, well-maintained appliance is naturally going to deliver more energy-efficient performance all year long. This means your appliance will draw less power to do the same job, and you will see the proof in lower utility bills—never more so than in the extreme seasonal shifts Canada delivers each summer and winter! As we mentioned in the opening to this post, we’ve never yet met a customer who was chomping at the bit to schedule preventive maintenance service calls or purchase a new heating or cooling appliance. This isn’t a particularly fun part of owning a home or business! But seeing your pricey major appliances deliver more useful life can be fun! The longer you can put off having to invest in a new air conditioner or furnace system, the better, and our preventative maintenance service can help you achieve just that! The only thing that is perhaps less enjoyable than either preventative maintenance calls or major equipment purchases is unexpected equipment outage. It’s really hot outside…and then it’s really hot inside when your air conditioner suddenly stops working. Our maintenance service calls can prevent this! We take the time to do a truly thorough job of cleaning, tuning, lubricating, maintaining and, if necessary, repairing your appliances to prevent those stressful and expensive unexpected equipment failures. Every year, tragic preventable home and workplace fires are started by poorly maintained heating and cooling equipment. Overheating, faulty power connections, malfunctioning pilot lights, clogged filters and other hidden dangers can each be detected and corrected during your annual preventative maintenance service checkup. Unless your air conditioner and furnace system is brand-new, you are likely to run into a handful of repair issues from time to time. Many of these can be chalked up to simple wear and tear with ongoing use. Making these types of small repairs on an annual basis not only keeps your overall maintenance costs low, but it prevents minor repairs from turning into major repairs and potential safety issues. 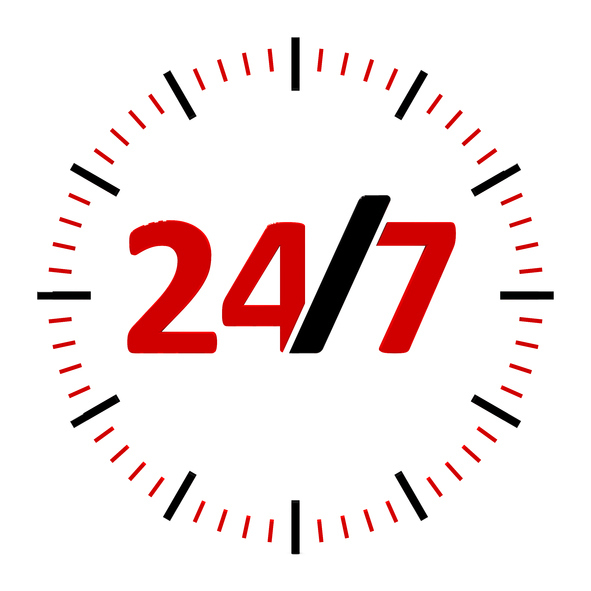 One of our most popular ongoing customer services is our 24/7 emergency repair service. When we say 24/7, we really mean it—nights, weekends, holidays, anytime—if you call us, we will be there. This is how we meet many of our new clients. We get a panicked call at 3:00 a.m. and head over to fix a malfunctioning air conditioner or heater. The grateful and impressed customer then enrolls in our money and time-saving preventative maintenance annual plans...and no more calls to the 24/7 emergency line! When you enroll in one of our annual preventative maintenance service plans, you automatically become one of our priority customers. As a priority customer, you automatically get to skip the line and go right to the front when you need immediate service. This may not sound too impactful during the more temperate seasons during spring and fall, but it becomes a big deal during the heat of summer and the chill of winter when we are at our busiest. Shipton’s offers three levels of annual preventative maintenance for your heating and cooling systems at all stages of life. Each plan also comes with our Savings Plans Rewards Club perks. If you have a newer heating and cooling system that requires only basic annual maintenance, this is the perfect affordable plan for you! If your system is in the middle of its useful lifespan, this economical plan with valuable extras will keep your A/C and furnace humming happily for years to come. For an older air conditioning and heating system, you won’t find better than our Ultra Savings Plan, which offers the added benefits older systems need. Are you ready to schedule your annual air conditioning preventative maintenance service call? When you call, be sure to ask us about our money- and time-saving preventative maintenance service plans for your air conditioner and furnace. Give us a call at 905-549-4616 today to schedule your appointment!